It’s the season for family road trips! With such an abundance of beaches and camping options across Ontario’s Southwest, it’s no wonder so many families make the trip to this region for their warm weather holidays. But, it’s not just the water and nature that’s great for the whole family, so is the food scene. When you normally think of culinary road trips, you don’t think of travelling with the kids, however in Ontario’s Southwest, there are a number of amazing culinary destinations that have a lot for the kids to enjoy too! 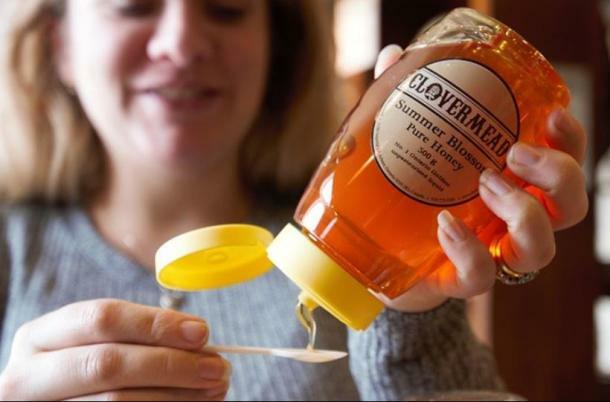 With 24 million (and counting) staff buzzing with activity, the Clovermead Adventure Farm in Aylmer produces numerous unique honey varieties and inside the Honey Gift Store you can sample them all, as well as purchase treats, including honey spreads, beeswax candles and hand cream. While you’re enjoying these sweet treats, the kids can take in the fun activities on the adventure farm. 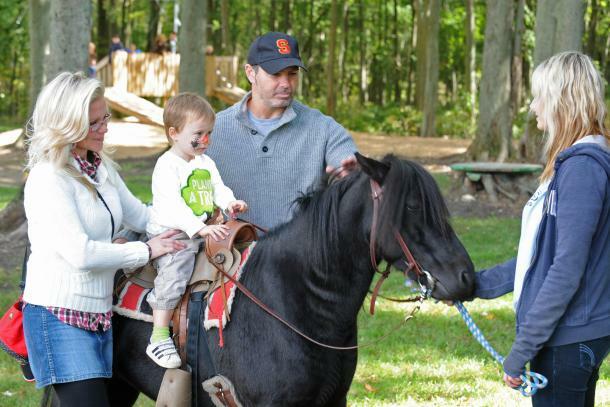 Families can enjoy large play areas, friendly farm animals, pedal carts, jumping pillow, wagon & bee train rides and more! 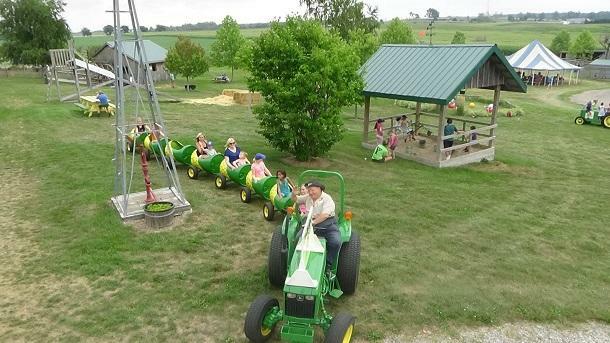 Apple Land Station is a family farm attraction in Thorndale that all can enjoy. You’ll want to start your visit in the on-site store that houses a bakery famous for it’s apple pies. Filled with 3.5 pounds of apples, these pies are baked fresh and are truly out of this world. 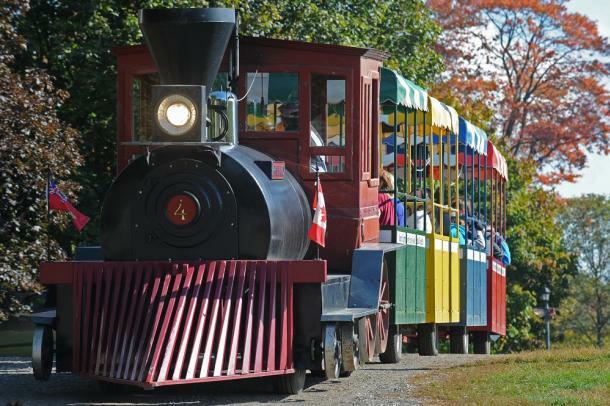 In the fall, you can enjoy pick-your-own apples and pumpkins, however it’s the crop of farm-themed activities that the kids will love including a farm train, a corn maze, adorable barnyard animals and a huge mountain of sand that kids will love climbing on and digging in. Of course, you can’t have a summer road trip without ice cream and there’s no better stop than Shaw’s in Elgin County on the way to Port Stanley. Shaw&apos;s Ice Cream uses only the best ingredients and of course fresh real cream in each of their 50+ flavours. One taste and you’ll understand why Shaw’s has been a local institution since 1948. Just off the 401 in Oxford County is Leaping Deer Adventure Farm & Market. 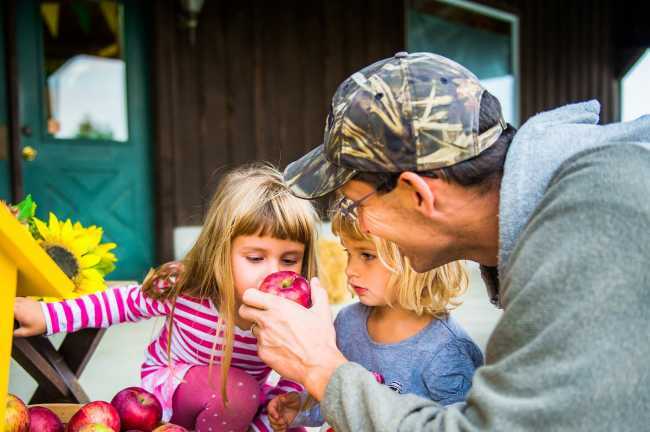 Offering family farm fun for all ages, Leaping Deer is about showing the connection of farm to food. Everyone can learn about this connection in the farming museum and by meeting some of the animals. There’s also wagon rides and mini-golf to keep the fun going. For tasty eats, check out the bakery for fresh maple butter tarts & baked fruit pies or Green Room Café that offers up an amazing menu including 100% Ontario home grown meats. And, yes, there’s a store so you can take amazing local treats with you for the road. Kustermans Berry Farms has it all in the Grassroots of Middlesex County. Fresh blueberries, raspberries, corn, pumpkins and seasonal produce are available in season and there’s even you-pick available depending on what time of year you visit. The on-site market offers fresh baked goods to enjoy. For the kids to stay entertained, there are friendly farm animals, pedal karts, playgrounds, and farm tours across the berry fields! We know, sometimes on road trips, the adults just want to escape from the kids for a little bit. Luckily, Cooper’s Hawk Vineyards understands that wholeheartedly. 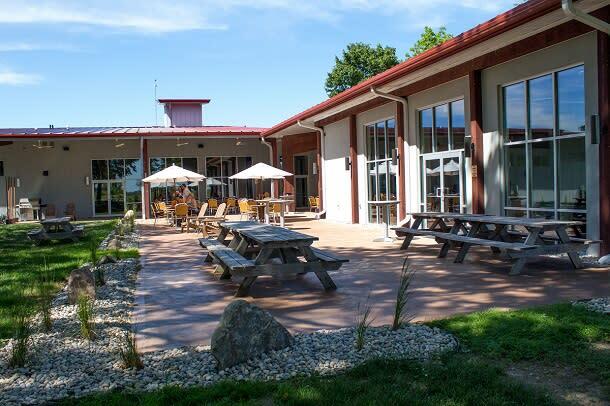 The picturesque vineyard has built a playground kids can have fun on, along with offering tractor rides on the property, while the adults step into the tasting room to try some of their award-winning wines. The playground is fully visible from the extensive patio so feel free to bring your wine outside and sip in full view of the play equipment. And there’s a restaurant on-site so you can grab a meal too! Now that’ve we’ve shared a taste of what awaits you, it’s time to hop in the car and build some yummy memories with the whole family!